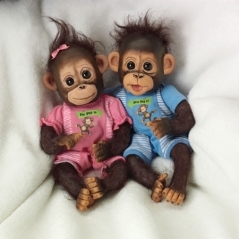 Introducing Madison and Mason, incredibly lifelike twin baby dolls by acclaimed artist Donna Lee for you to marvel over, nurture, and love with all your heart! 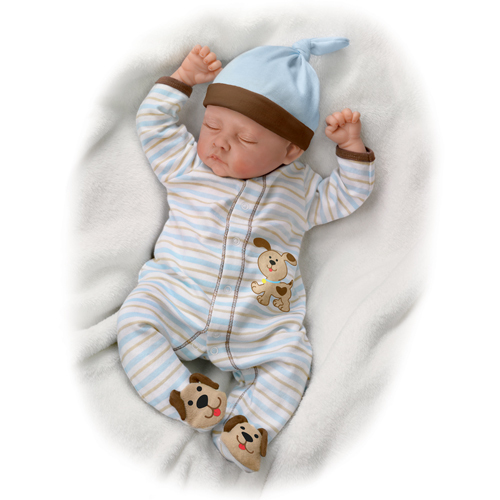 The beauty of these precious babies is captured in our RealTouch® vinyl which re-creates every realistic detail of the artist’s sculpting. From the tender expressions on their sweet faces to the folds and creases on their little hands and feet, they are So Truly Real®. 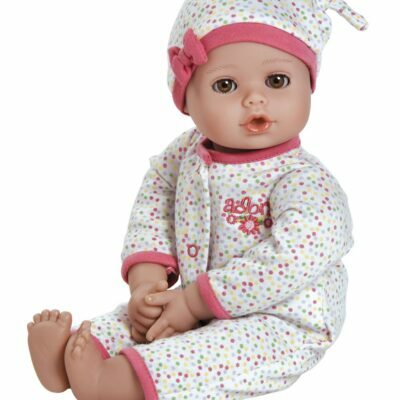 At 13 inches from head to toe, each baby is a charming bundle you’ll love to cradle in your arms. And when you cradle them close, notice their soft, baby-fine hair, delicate eyelashes, and tiny hand-painted fingernails and toenails. So many lifelike qualities make these two irresistible! Your delightful little twins arrive with the cutest baby bunting made just for them, a soft shade of pastel green adorned with striped trim and a lovely bow at the center. To keep them snug and warm, it’s lined with cozy white fleece. Wrapped inside, your twins are ready to go anywhere with you. 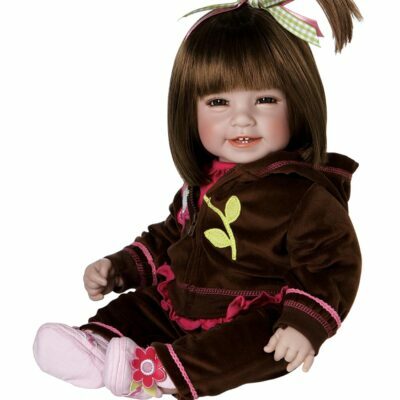 Dolls are 13″ long and poseable.